Whenever a complaint supported by factual evidence alleging circumstances of voter fraud and/or suppression is filed in a particular county, that county’s board of elections must hold a public hearing at which qualified electors of the State of Ohio may provide sworn testimony or affidavits in support of the alleged act(s) of voter suppression and/or voter fraud. 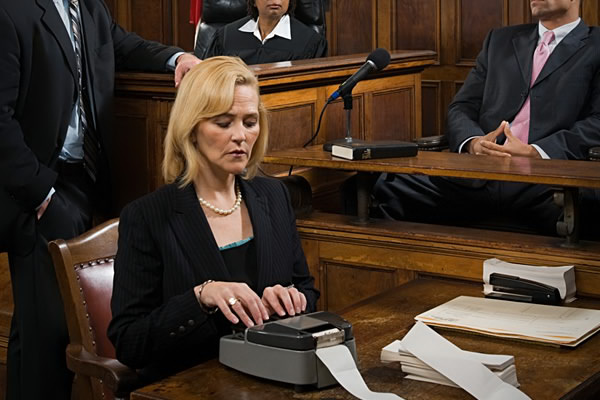 Any testimony provided to the board of elections must be given under oath with a transcript made by a certified court reporter. All sworn statements, whether in writing or in person before the Board, must be limited to first-hand knowledge of the allegation, as hearsay testimony is inadmissible. At the conclusion of any meeting to investigate allegations of voter suppression, voter fraud, and/or election falsification, the Board must vote whether or not to forward each allegation to the county’s prosecuting attorney for review and possible legal action, or resolve to further investigate the allegation at the board-level. Any action referred to the county’s prosecuting attorney must also be forwarded to the Secretary of State’s elections counsel assigned to your county. This directive is an interesting response to the rising tide of fraud allegations. In one sense, it would appear to encourage such activity by the creation of a forum for fraud complaints; on the other hand, the requirement that such hearings be on the record and that complaints be based on first-hand knowledge would appear to discourage anecdotal “I heard” or “everybody knows” allegations, which are commonplace where fraud is involved. Muskingum County Board of Elections Director Christine Hamill said there haven’t been any fraud complaints filed with the local board in recent memory, but she is glad all boards of elections will use the same process. Hamill said requiring a court reporter to make a transcript of the hearings will be an additional cost to the county, but she thinks the requirement all sworn statements be limited to first-hand knowledge of an allegation would limit the number of allegations. “It would be an additional expense to worry about when budgets are tight, but it’s still a good idea,” she said. As my 12th grade civics teacher used to say, “assertion is not proof.” Ohio’s new voter fraud directive will use formal hearings to separate the former from the latter. Stay tuned. 1 Comment on "Assertion is Not Proof: Ohio to Put Voter Fraud Hearings on the Record"
Surely it is equally a response to the rising tide of anecdotal voter supression allegations.